An Analogue Service to Help Bridge the Digital Divide. Estella Pyfrom, from Florida has created and sustained a mobile classroom service for use within her local area. She provides access and learning support into digital technology, for any individual on low income who would otherwise be excluded from access to computers or the internet. 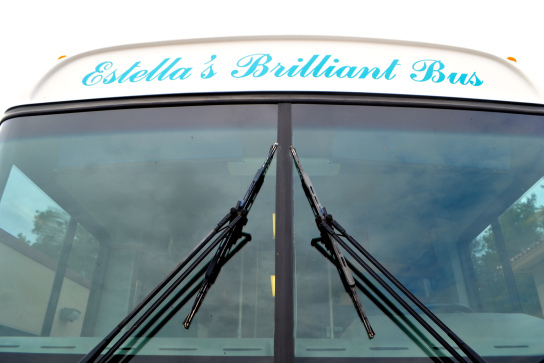 With a team of volunteers, Estella goes into local communities with her transformed bus. It is kitted out with 17 computers and high speed internet, and provides the opportunity for anyone to learn basic internet skills for free. This case study is a rare example of a traditional and analogue service that is flexible enough to move to a variety of different communities and areas, yet which also has the capapcity to give one-to-one personal and detailed support. I think this could be an interesting approach for a service design to support the digitally excluded. Its not online, its not exclusive and it’s not in a fixed geographical position, and so it can move from community to community and find the excluded individuals who really need the service offerings.